On October 28 and 29, American University’s Center for Israel Studies and Jewish Studies Program will explore the dramatic changes in Israeli society, politics, economy, art, and literature in the two-day academic conference, Reinventing Israel: Transformations of Israeli Society in the 21st Century. The conference is free and open to students and the general public. It is made possible by the Knapp Family Foundation. “Historians often refer to the Six-Day War and its consequences as Israel’s Second Founding. 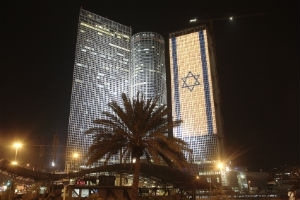 One might call the substantial transformation Israel has seen in the last two decades its Third Founding,” says Michael Brenner, director of American University’s Center for Israel Studies. Very few societies have changed as rapidly as Israel. Israel has become one of the leading “start-up” nations in the world, but its growing economic gap has given rise to a social-protest movement. Its population is also changing. In addition to one million immigrants from the former Soviet Union, many of Israel’s new faces come from Africa and Asia. They include non-Jewish refugees, self-identified members of the Lost Tribes, andEthiopian Jews. The Ultra-Orthodox segment, which once constituted only 3 percent among Jewish Israelis, is projected to comprise 20 percent of the population within a few years. On Wednesday evening, David Ellenson, president emeritus of Hebrew Union College and director of the Schusterman Center for Israel Studies at Brandeis University, will kick off the conference with an analysis of the relationship between American Jews and Israel, which many see increasingly strained in recent years. As Israel wrestles with what it means to be a Jewish state (and whether this should be codified in law, a subject of much controversy), the relationship between Israeli and American Jews has come under scrutiny. “The 2013 Pew Research Center study of Jewish Americans found that less than one third of American Jews under the age of thirty consider caring for Israel key to their Jewish identities. Exploring the relationship between Israelis and American Jews is a topic of the utmost importance for students today,” says Pamela Nadell, director of AU’s Jewish Studies Program. On Thursday evening, the conference will close with Fania Oz-Salzberger, co-author with Amos Oz, of Jews and Words; Law Professor Mohammed Wattad (Zefat College); and historian James Loeffler (University of Virginia), laying out different visions of what Israel might look like in the year 2035. As Oz-Salzberger reminds us, such excursions into the future are simultaneously commentaries on the present. The conference is free, but advance registration is required. For more information, please see the Reinventing Israel Conference Program.